Jaded Blossom: Thanks for Playing! Hey everyone, it's Jaymie and I wanted to share a quick poker game treat with you! Isn't this little bear cute? He is from Designs on Cloud 9 cutting file called Poker Night . 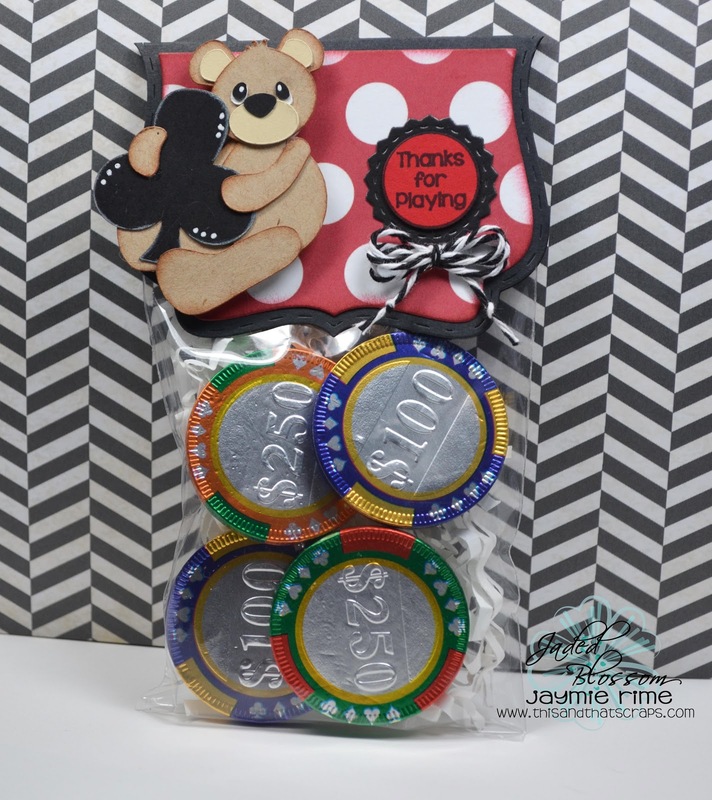 I stuffed the bag with chocolate poker chips and added a little bit of Black Licorice from Trendy Twine. I hope you enjoyed my little treat, thanks for stopping by! Love it. My hubby enjoys playing Poker with the boys (it is about that time again). Where did you find the chocolate poker candy? I would like to get some and make these for the other wives. This is just so Adorable. Love this.